Who would have thought one small fee and some markings on a piece of a paper could bring such joy? 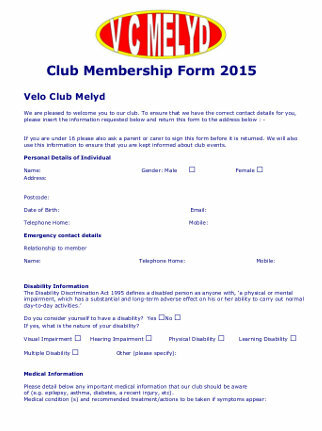 Yes – for a few moments of your time and some of your hard earned cash – you too can renew your membership of VC Melyd: Gallt Melyd’s premier cycling club, North Wales – or indeed join. Hand fettled and honed over the years – subtle changes to the form for 2015 render this by far the most exciting version, and lab tested to provide a 15% aerodynamic advantage over previous versions. Its going to be a good year – make sure you are signed up. What does it provide: Regretfully the blazer badge and tie are no longer offered as part of membership – however it does cover you to take part in club organised events and time trials, and means any points gained in events are counted towards end of year awards – this alongside the warm feeling of belonging that we all secretly clamour for, banter, and some really top like minded people of a consistently surprisingly and wide range athletic ability. In an idea world membership forms and subscriptions to the Club Secretary prior to the start of February 2015… but its never too late. Whatever your preference – speed, stealth, social, mud, weekend regular, or track – make that change. You know it makes sense.